“You can love your pet, just don’t LOVE your pet.” Insightful words by Dr. Abby Barnes in the incredibly wise and hilarious film, “The Truth About Cats and Dogs”. 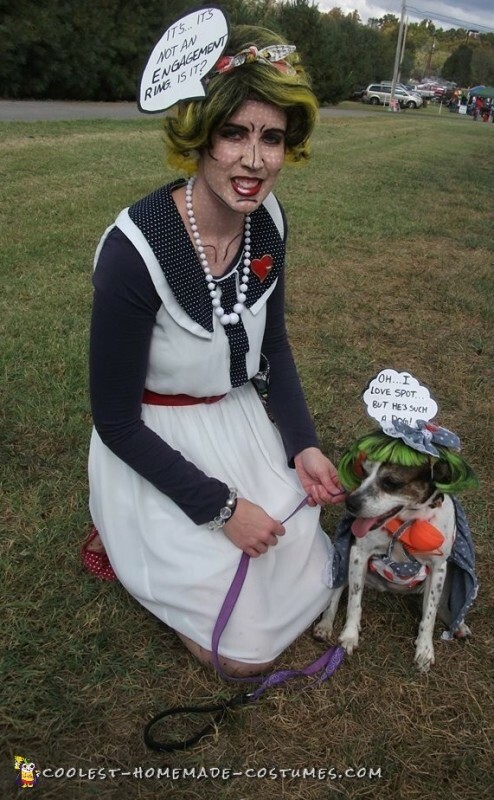 In this case, dressing up with your pooch in a couple costume is well inside the safe limits of loving your pet. 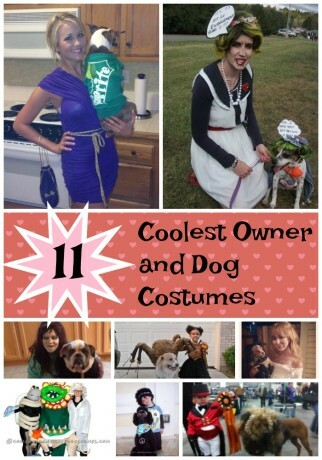 So, get inspired by these adorably awesome owner and dog costumes for your homemade, affordable DIY costume this Halloween. If you ever wondered how to make a pop art dog costume, check out Mallory’s fantastic instructions! 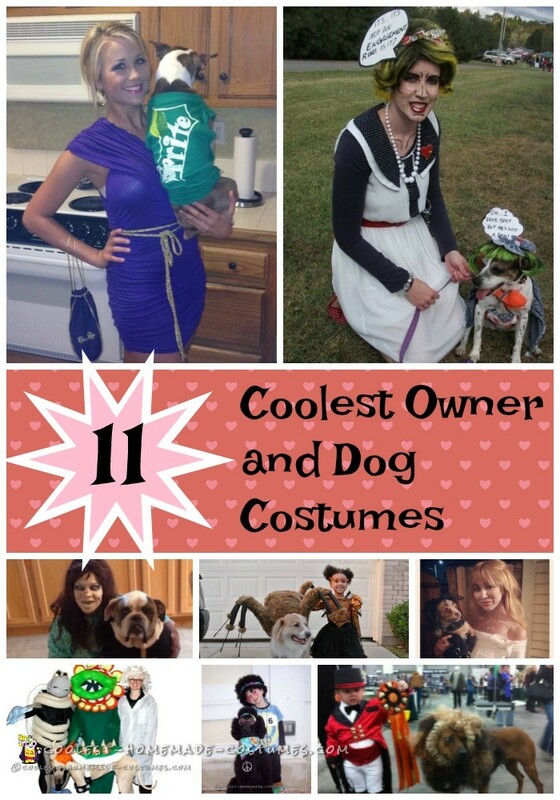 This contest-winning couple barked it’s way into our number one spot. Service dogs are the most loyal and loving of all pups, but for the person who needs one, they can attract unwanted questions. 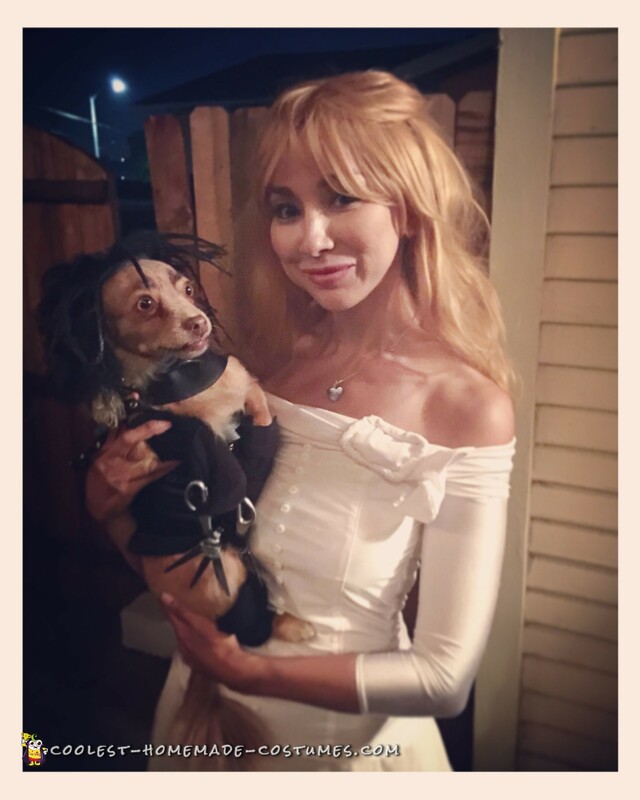 Carolina transformed hers into Edward ScissorPaws and then relished all the positive attention she received. Have mischievous canines around who like to make messes? 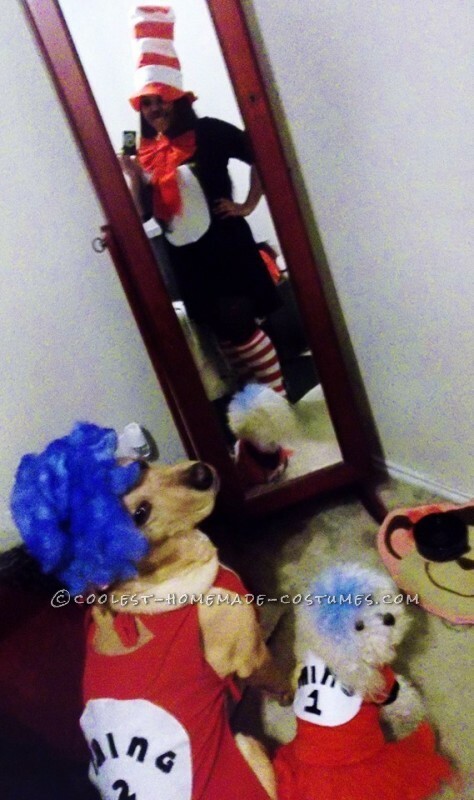 Try out these instantly recognizable costumes from Dr. Seuss’s classic book The Cat in the Hat. 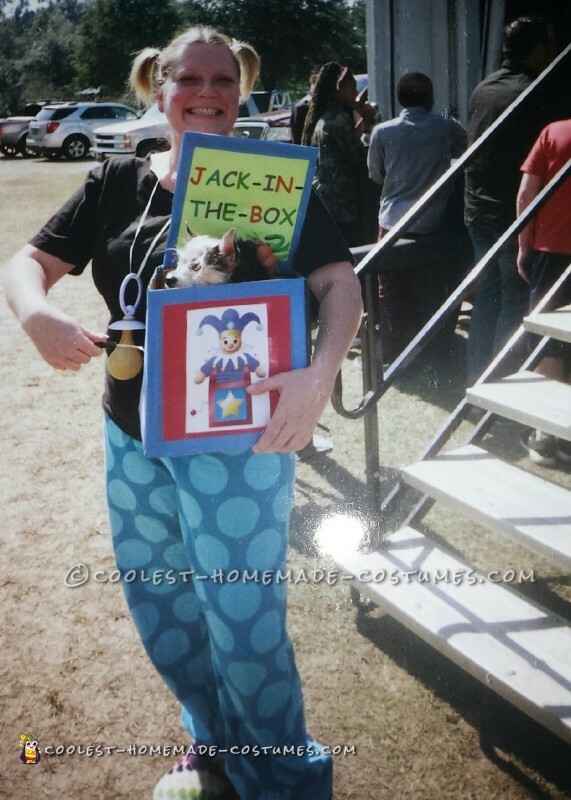 For the most comfortable owner and pet costume, try this money-saving idea. Your doggy gets to sit in a cozy box, while you can wear pajamas. Win-win! What one mom did in order for her son and dog to win the most sought after Halloween contest, is nothing short of inspiring. Check out this duo here with their gorgeous, prize-winning ribbon. 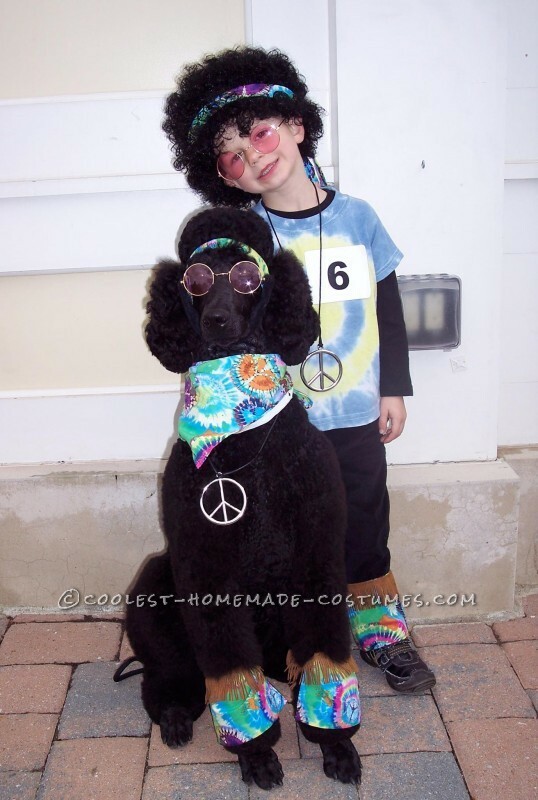 Looking for another child and dog costume? 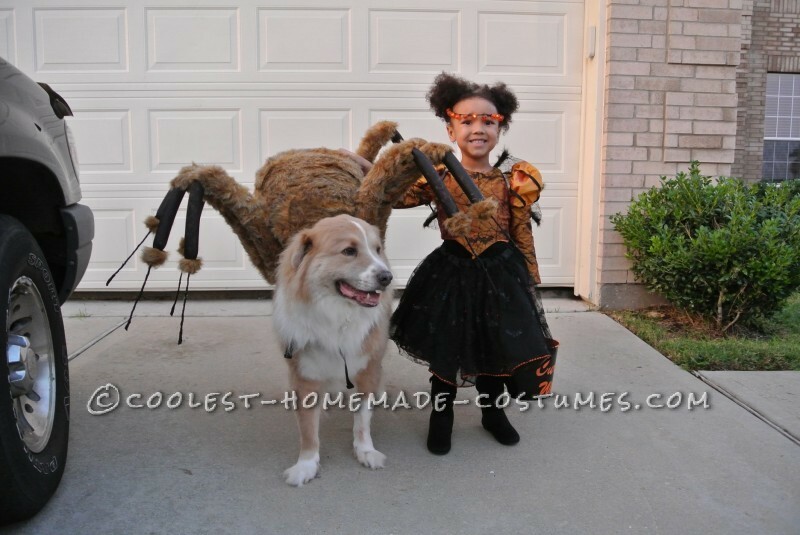 Try this web-tastic spider couple idea for a unique, scary and extremely cool costume. Or take a look at this kid and doggy pair. Grab some tie dye for this ultimate hippie duo. Easy and hilarious, these ensembles won 4 different contests! 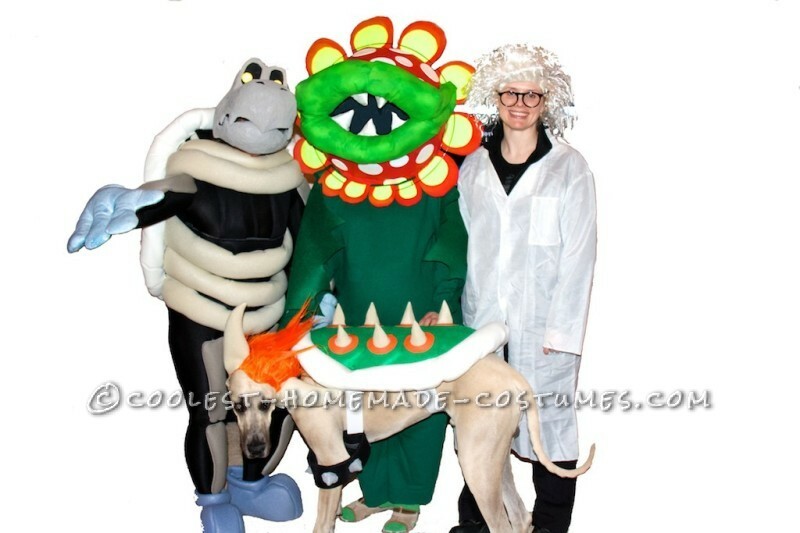 We’re adding this group and pet costume here, because it is just too awesome to leave out. Are you up to tackling these costumes? Check out the how-to instructions here for an extremely memorable Mario Brothers group costume. 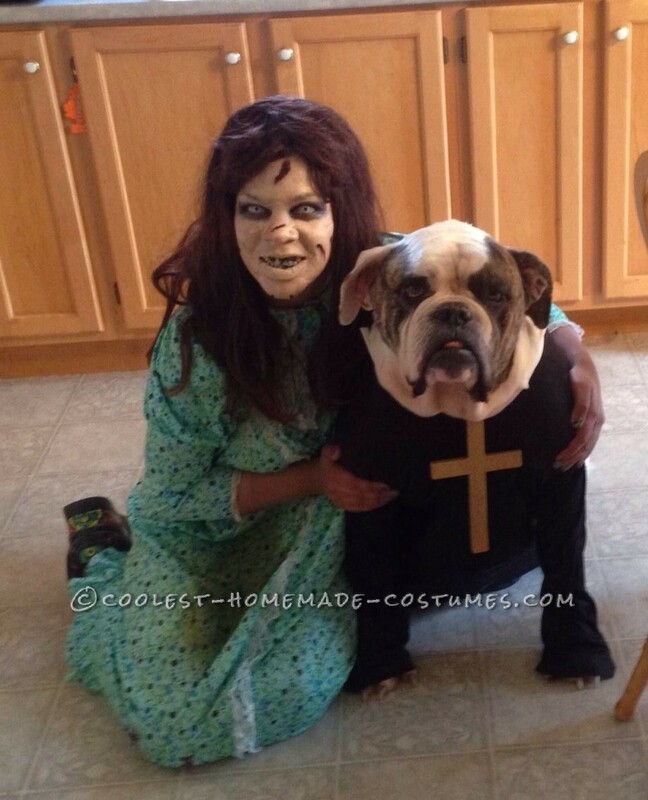 Creep out friends and strangers with the scariest Exorcist couple costume. The good news is that at least your puppy’s face won’t need liquid latex! Wear your most flattering purple dress and transform your pup into a can of Sprite for this refreshingly cool Crown and Sprite couple costume. 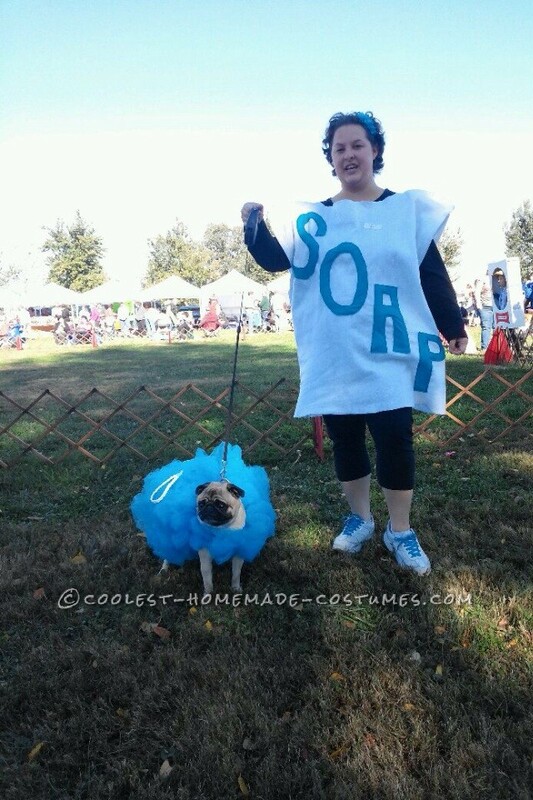 Finally, when you’ve had a Ruff day, clean up with this hilarious dog loofa and human soap team. So, this Halloween, team up with your faithful furry friend for the ultimate costume companion.